Let’s start off with a simple Fibonacci play on AUD/USD’s 4-hour forex chart. As you can see, the pair recently broke below a support area around the .8100 major psychological mark. This lines up with the 38.2% Fibonacci retracement level, which might act as resistance moving forward. However, stochastic is still making its way out of the oversold area, indicating that buyers are in control for now. 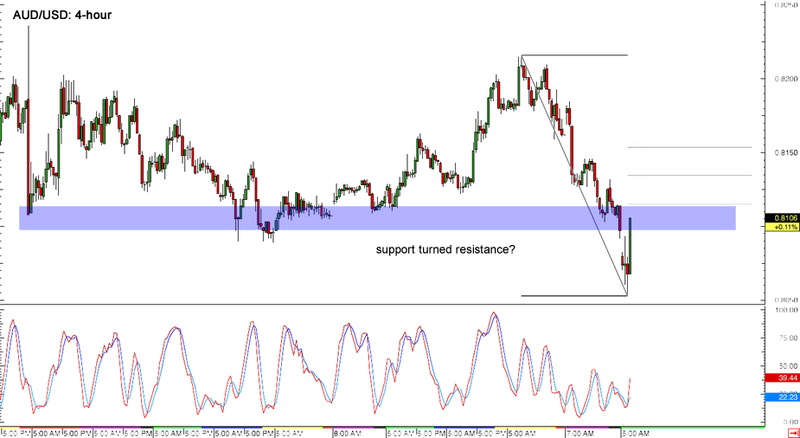 A higher retracement could still be possible, with the 50% and 61.8% levels also acting as potential resistance zones. 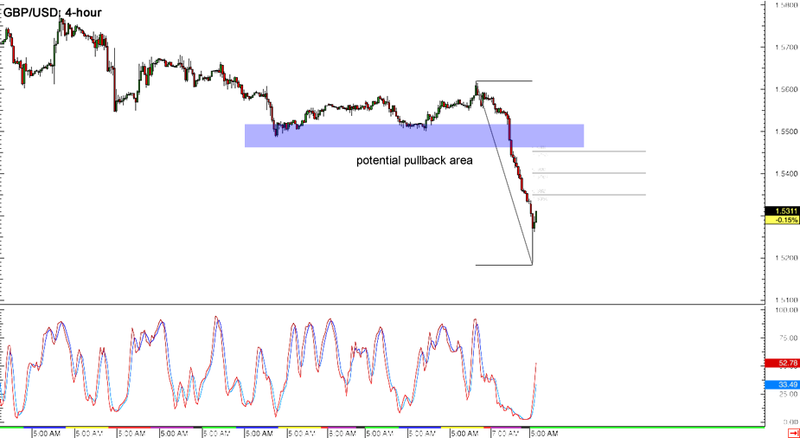 Now here’s another potential pullback, this time on GBP/USD’s 4-hour forex chart! Price just made a sharp dive to the 1.5200 major psychological support before showing signs of retreating, possibly until the Fib levels marked on the chart above. A shallow retracement could last until the 38.2% Fibonacci level, which is right smack at the 1.5350 minor psychological resistance. A higher pullback could reach the 50% Fib at the 1.5400 major psychological level or even until the 1.5450 minor psychological resistance at the 61.8% level. If you’re into momentum plays and trends, then this forex setup on NZD/USD’s 4-hour chart might be what you’re looking for. 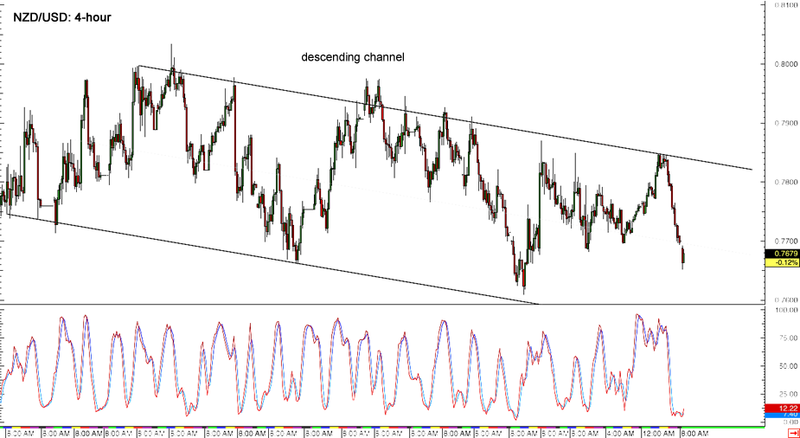 The pair has been moving in a descending channel, keeping the long-term downtrend intact so far. Price just broke through the mid-channel support, which suggests that it could be in for more declines. A move towards the bottom of the channel near the .7600 major psychological level could be possible if bears stay in control. Stochastic is reflecting oversold conditions though, which means that buyers are hoping to push price back up soon.